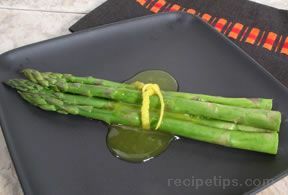 In a small saucepan, cook asparagus in a small amount of water until crisp-tender. 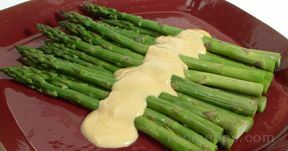 In another saucepan, whisk cream cheese, milk and salt over low heat until smooth. Stir in blue cheese and heat through. 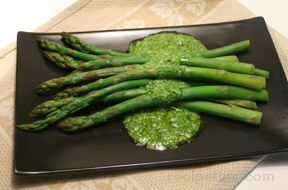 Drain asparagus and top with sauce.